It could go fine. Or the ex-mayor could live in the property and refuse to vacate, as happened to Billy Makedonsky. Billy Makedonsky thought he’d found the perfect retirement home for his 75-year-old mother. Better yet, buying it required just a few mouse clicks. Turns out he had good reason to be worried. For $159,000, what Makedonsky got was a house wrapped up in multiple bankruptcies, foreclosed in protested proceedings, and shrouded by allegations of fraud. The home is also the residence of El Portal’s former mayor, Joyce A. Davis, who said she wasn’t about to leave it in the middle of her comeback campaign. “There were signs up all over El Portal: ‘Elect Joyce Davis for Mayor,’ and she was squatting in my home,” marveled Makedonsky, a 41-year-old flight attendant. Makedonsky’s tale is just one buyer-beware among many in the digital age, when reams of distressed and bank-owned properties are added daily to online auction sites, making the business of vulturing real estate cheaper and more accessible. The flipside: Establishing clear title and control of the home, which some cash buyers have never set foot in, can mean sorting through a thicket of foreclosure filings, fraud allegations, bankruptcies, other mortgages, association liens, creditors and combative tenants. “People don’t realize there’s a lot more to it than ponying up some money,” said Dennis Donet, a Miami foreclosure defense attorney. Makedonsky’s adventure began in August, when his mother gave him permission to spend her nest egg on the house just around the corner from Horace Mann Middle School despite warnings on the private site GoHoming, now called HubZu.com, that someone was still living there. Worried that “occupant” was a real estate euphemism for “crack heads,” Makedonsky drove to the Northeast Dade village of El Portal and knocked on the door. He was relieved to find not some strung-out vagrant, but Davis, El Portal’s 69-year-old former mayor. “She didn’t go for it,” said Makedonsky, who sued in October to evict her. Davis says in court filings that she is a widow living on a fixed income with nowhere else to go, that she is the victim of fraud, and that Makedonsky’s claims that she is squatting are bogus. “I don’t care what he’s calling me, that doesn’t make it true,” said Davis, who ultimately lost the Nov. 6 election to Mayor Daisy Black, netting just 18 percent of the vote. Davis, who was El Portal’s vice mayor from 2004 to 2008 and then mayor until 2010, has so far been successful in fending off Makedonsky’s eviction attempts. Makedonsky received a judgment for removal of tenant from Judge Shelley Kravitz on Nov. 13. The next day, Davis filed for protection based on her ongoing bankruptcy case, which can halt eviction proceedings. Her motion was dismissed, but Davis filed an emergency motion Nov. 27 saying she was the victim of fraud. Kravitz then issued a stay, putting things on hold pending the results of a hearing scheduled for Tuesday. In filings, Davis said she and her husband, David Davis, lived in the home starting in 1997. She said she sold the property just before her husband died in 2005 to a family member, who allowed them to stay but defaulted on his payments. Her motion does not mention the name of the “mortgage person,” and Davis declined to explain how she’d been defrauded when a reporter visited the home. Records on file with the Miami-Dade County Recorder and Property Appraiser show that Davis and her late husband paid $20,000 in 2000 for the home via a quit claim deed, which transfers a grantor’s interest in a property without guaranteeing they own it or have clear title. Five years later, they sold the property for $375,000 to an Andre L. Williams, and signed over a warranty deed. Williams sold the home a year later to a Joel Mena, who after finishing bankruptcy proceedings, was foreclosed on in 2010 by U.S. Bank N.A., which purchased the property at auction. Davis, however, fought the foreclosure. She appealed to Florida’s Third District Court of Appeal, which dismissed her case. Davis is still fighting. 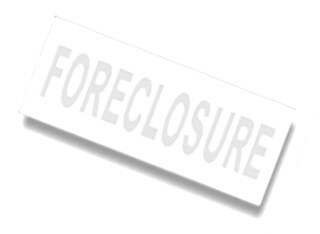 She filed suit Dec. 6 against the bank over the foreclosure. Makedonsky doesn’t believe her story. He thinks Davis is finding ways to stall eviction so she can live rent-free in his mother’s retirement home. “This is a sophisticated squatter. She was mayor of the town, and she’s playing the system,” Makedonsky said. While Makedonsky bought his home on a private auction, attorneys say more horror stories come from the clerk’s foreclosure auction in Miami-Dade, a county where there is a backlog of 53,000 foreclosure cases. Nearly 100,000 properties have been listed on the clerk’s online auction since it opened three years ago. Last year, an average of 100 properties were sent to auction each day. Properties can be pulled off of auction or purchased at the last minute by the distressed home’s owner, so not every property listed was auctioned. But Donet, the foreclosure attorney, said the vast new real estate frontier is attracting a new clientele, many of whom haven’t done the proper research on the properties they’re trying to buy. Attorney Ferrer Shane said the most common mistake buyers make is not understanding what it is they’re buying. Many clients drop thousands on a home thinking they’re buying a foreclosed mortgage when they’re actually buying an association lien that will be trumped by the lender when the bank finally forecloses. That’s what happened to Maria Alonso, who spent $9,100 in May on a 2,600-square-foot home in The Hammocks. The home was at auction because of a $7,482 judgment held by the Panache Homeowners Association over unpaid assessments by the previous owner. Alonso, however, thought she’d bought the home outright and after fighting for three months to evict the previous tenants, she leased the home out, according to daughter-in-law Dayana De Latorre. And then they got a notice that their new property was to be auctioned again on Dec. 13, this time due to a judgment held by Wells Fargo. De Latorre said her in-laws, who bought the house with settlement money from a personal injury claim, have challenged the sale and have a court date set for Wednesday. But they’re not sure what will happen next. “It’s been very confusing. There’s not a lot of help out there,” she said. For investors who have already bought a problem property, that’s true, said Shane, the attorney. In Makedonsky’s case, he didn’t know enough about Florida’s landlord-tenant laws, which favor the occupant, said Shari Olefson, a real estate attorney and the author of Foreclosure Nation: Mortgaging the American Dream. Occupants can delay and delay because evicting someone from a home requires a sheriff — in this case the Miami-Dade police — and a court order. “The burden is on the landlord to dot their I’s and cross their T’s, and a tenant who is savvy can take advantage of that,” she said. Until the case is resolved, Makedonsky is splitting his time in South Florida between a friend’s El Portal house and a North Miami Beach home owned by Swacarioca, an investment company that buys foreclosed houses. He and his mother are listed among the owners of the company. Meanwhile, his mother, JoAnn Makedonsky, is living in an Arizona retirement community. She said most of her belongings are packed up in boxes or have been sold off to make the move to Florida cheaper — whenever that happens.